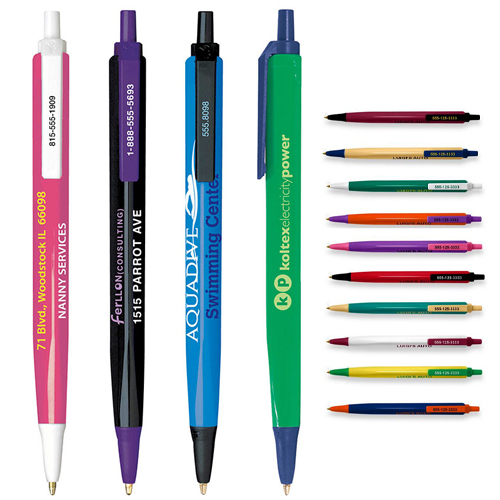 BIC® Tri-Stic® Show your prospects you're on the "write side" with the eco-friendly, BIC (R) Tri-Stic (R) three-sided ballpoint pen!Made with 73% pre-consumer recycled plastic, this colorful stick pen is assembled in the USA! With three sides you can get three different imprints and three different colors, with over 200 possible color combinations. A silkscreen imprint on this always-in-stock promo item is a perfect brand builder in any business or venue! Imprint Area: 1 1/8" W x 5/32"